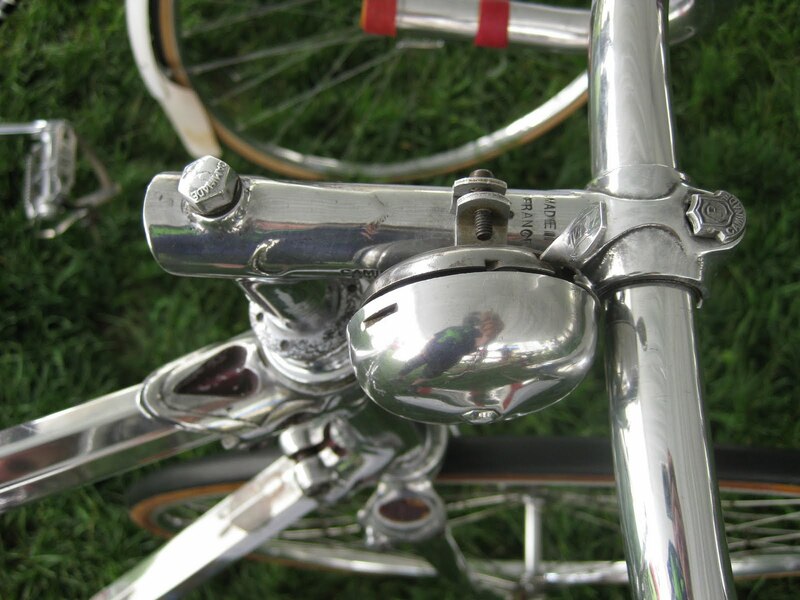 Here is the most beautiful example of a Caminargent Track bike I have ever seen. The track model is a bit tougher to locate. 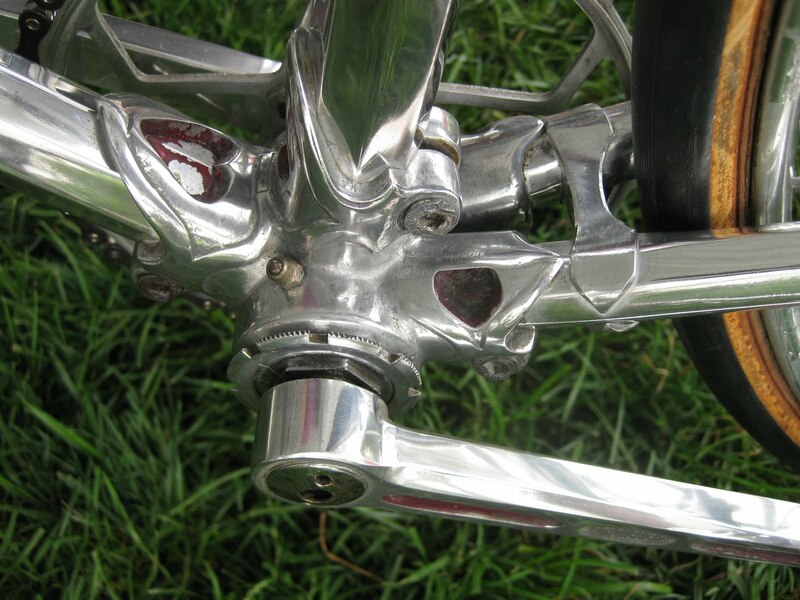 First introduced around 1936, Aluminum octagonal tubing, that is pinchbolted into the various lugs. 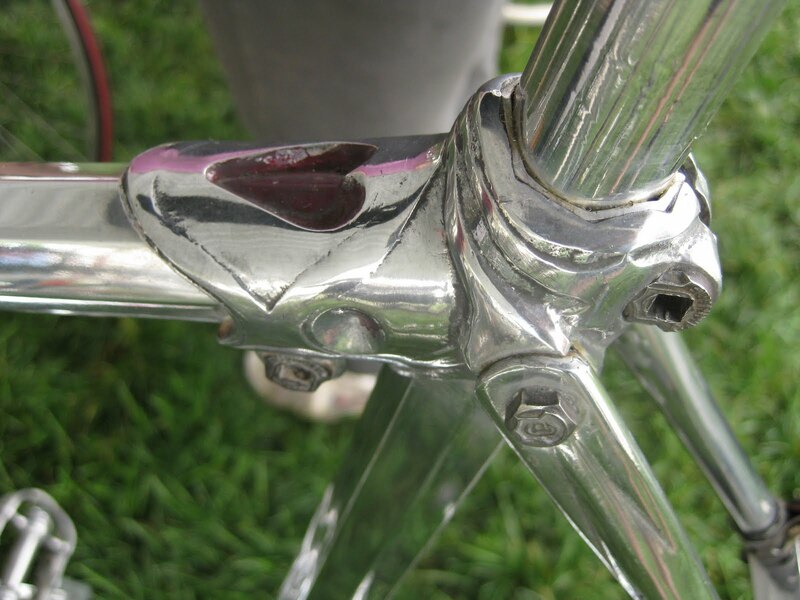 the frame can be completely disassembled. 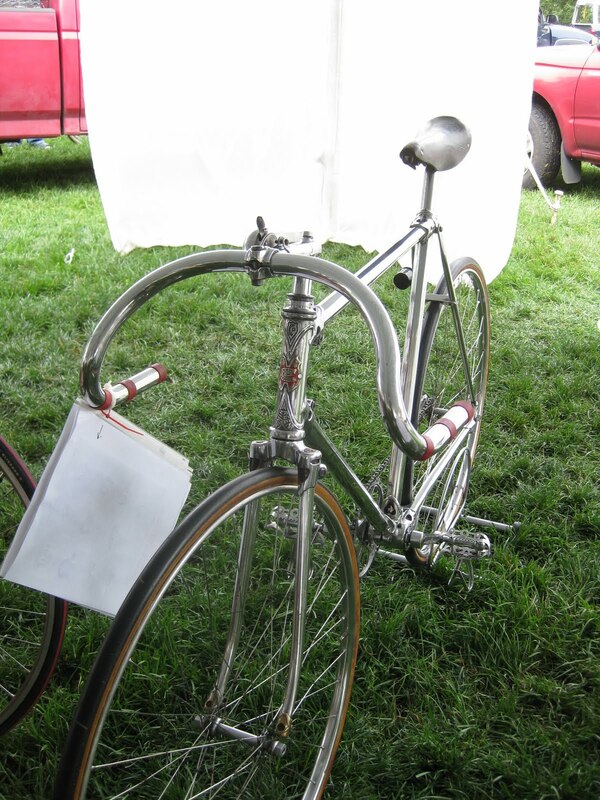 The bike was outfitted with aluminum Stronglight Cotterless cranks, aluminum handlebars, stem, aluminum rail saddle(similar to the Ideale), aluminum hubs and rims. this track model has something I have never seen, a unique way to tie and solder the spokes, it has a connecting strand that is continuous. 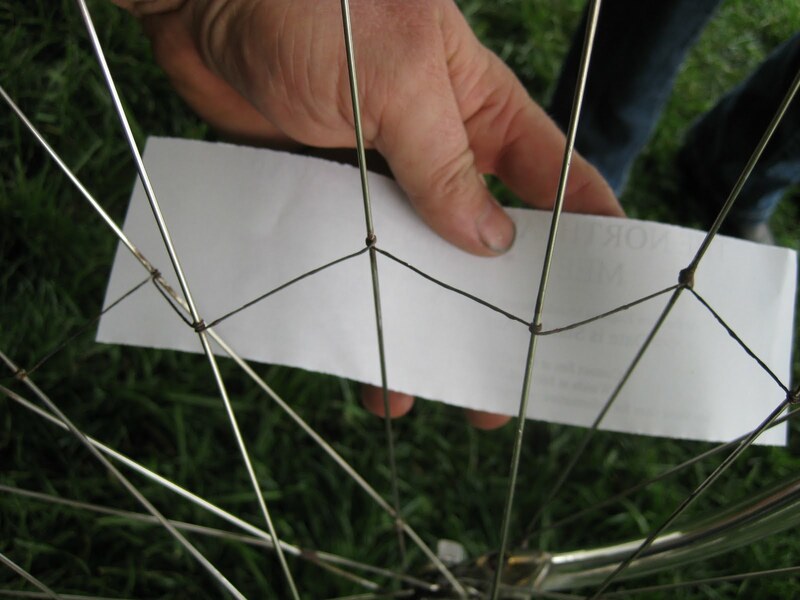 This is the model Bordeaux-Paris, and is perhaps the most common miodel of Caminargent cycles. It is not a track cycle, but a straight course road cycle. Caminargents were anomolies, and extremely flawed in their design and construction. They rode like spaghetti, hence they had no racing history at all. 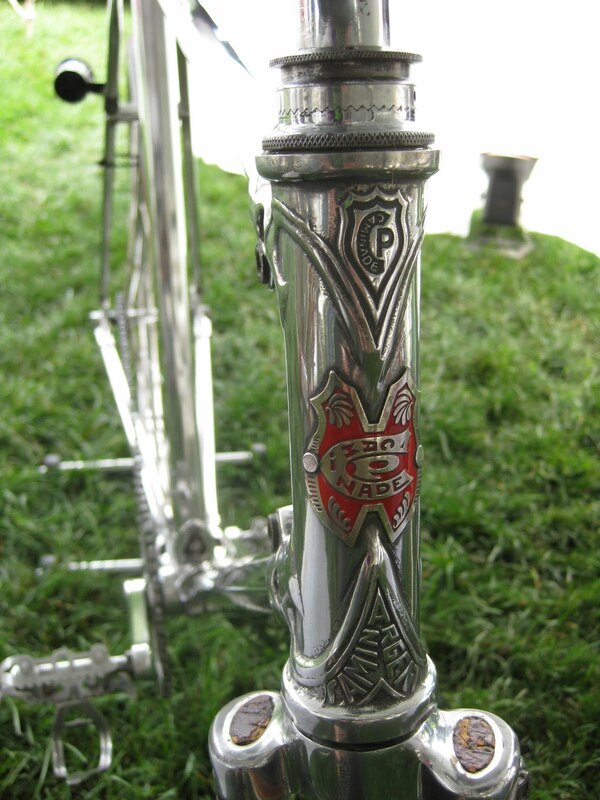 It was Pierre Caminades venture into mass production, producing several thousand per year since '36.